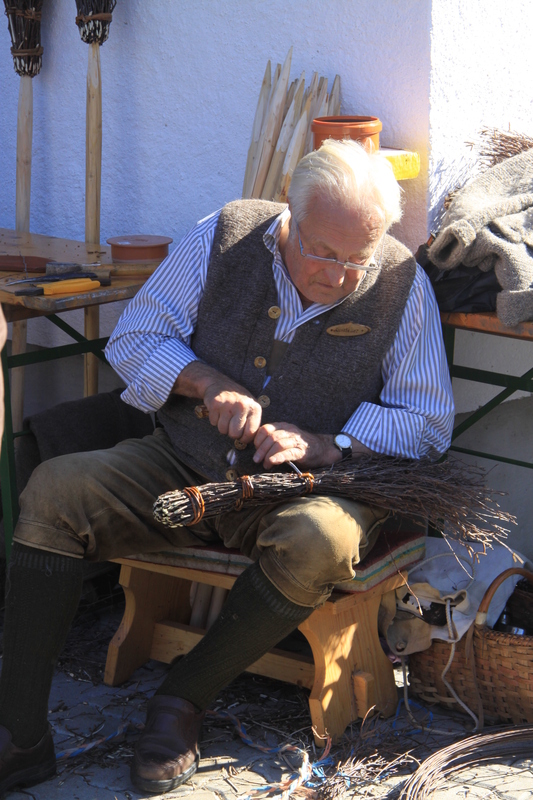 In Austria – and all across the German-speaking northern flank of the Alps – it’s more than just an expression. Each autumn the cows really do come home, as the grazing season on the high alpine meadows comes to an end and the seasons prepare to turn. The Austrian autumn is glorious – long, warm and settled – but winter can come with brutal rapidity in the mountains. One day the weather can be teeshirt-and-sunglasses fine, the next bleak and snowy. 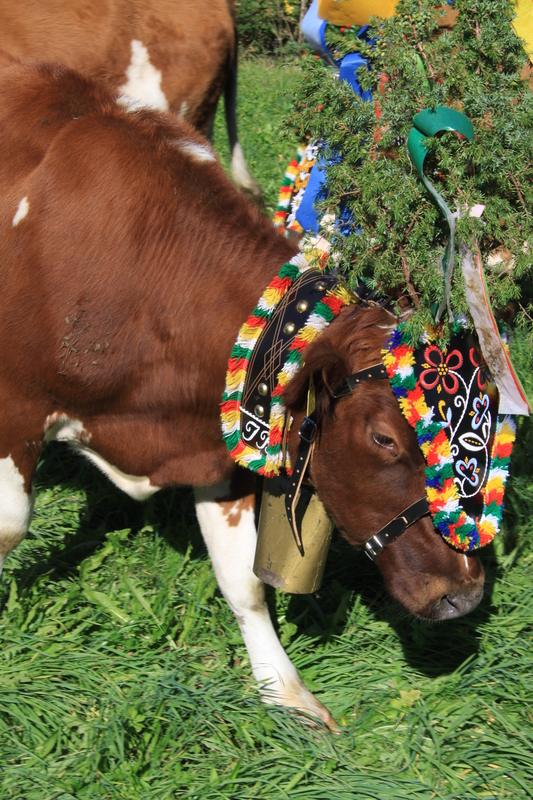 Each year the cows are brought down to the valley in a festive procession known as the Almabtrieb. 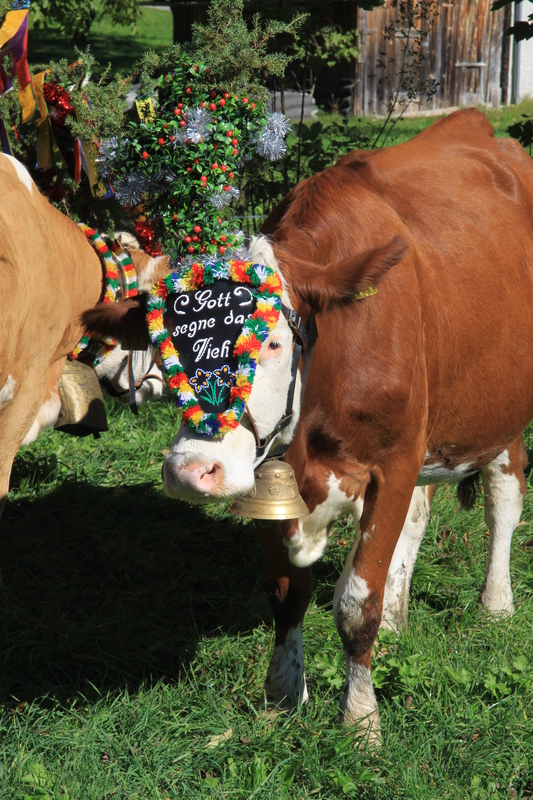 Elaborate headdresses adorn the cows and the cowherds wear traditional lederhosen. In Russbach near St Wolfgang in the Salzkammergut, the headdresses are richly-decorated works of folk art. 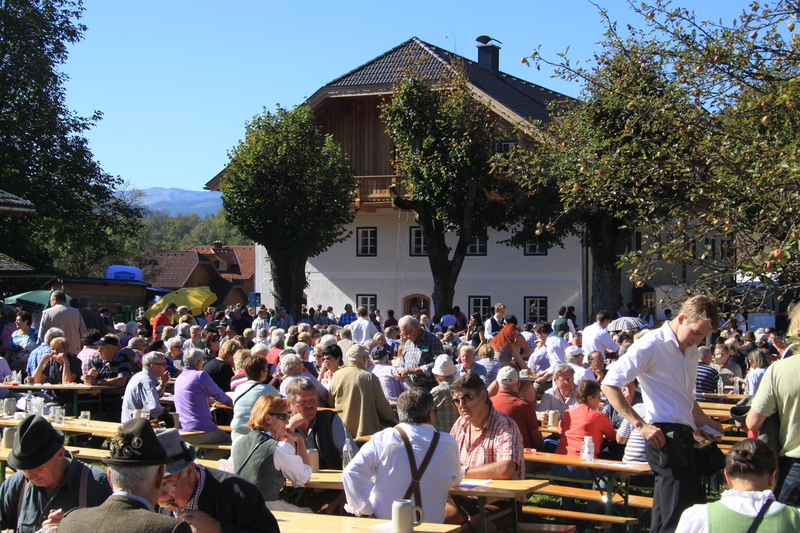 When the procession reaches the village, the cows are put out to pasture while the serious business of eating, drinking and celebration begins. If the weather is as glorious as it was in 2012, it’s a fine opportunity to enjoy one of the last warm days of the year. For young and old alike, it’s also a chance to wear traditional costume and show off traditional local skills. 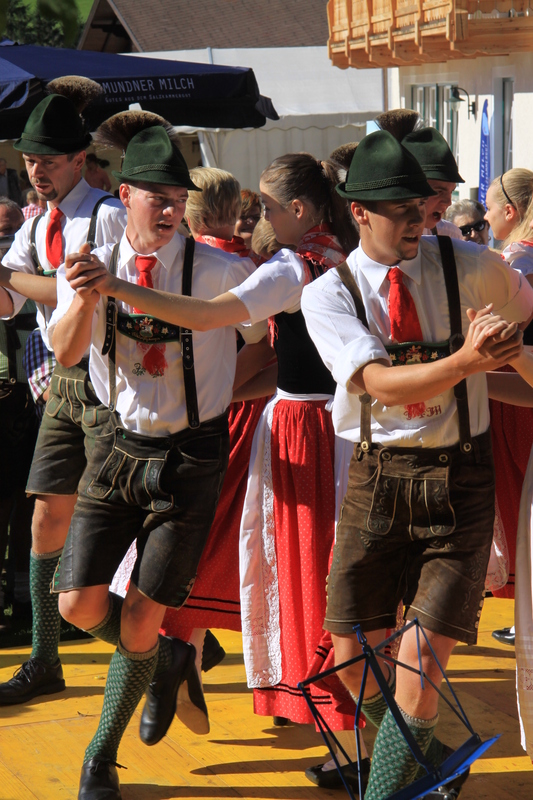 But the young dancers in lederhosen or dirndls were the main focus of attention. The sun shone all day, but the next day the heavens opened, it rained incessantly and summer suddenly seemed a distant memory. It wasn’t quite yet the start of winter, but a useful reminder that the Almabtrieb is a practical necessity as well as a much-loved seasonal ritual. 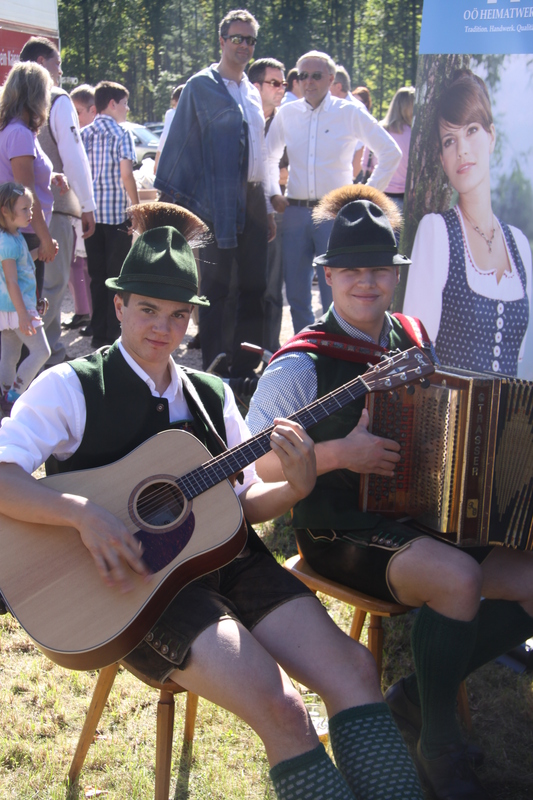 Alpine areas – where dressing up is rather more popular than in most places and not restricted to the human population! The humans seemed rather more enthusiastic than the cows, who I think just wanted to be left alone to munch grass. They were astonishingly patient and docile, though. But the bells, Neville, the bells! Surely one of the most enchanting elements of the transhumance (‘O’ level Georgraphy) is the sound of the different bells as the cows make their way down through the pastures? The bells are rather magical – less so for the cows themselves, I suspect!